I’m torn. When it comes to food, say, eating out at a restaurant, I prefer one which has limited menu but serve great tasting dishes on offer. Do only a few things, keep it simple, but do it really well, and change according to season. A very sound principle in my opinion. 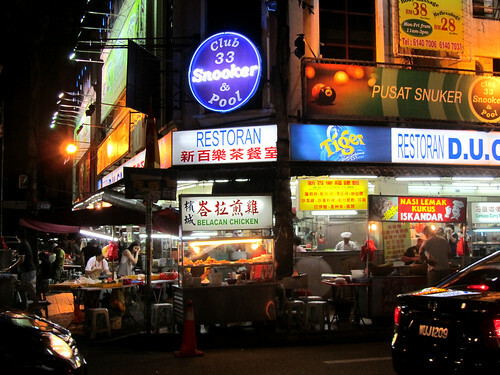 But when it comes to Malaysia and hawker dining, then I want lots and lots of options. Afterall, the stall owners should have satisfy the principle mentioned-above. Each stall serves a limited few items that are their specialties (at least that’s the concept). And now, I should be spoilt for choice of a wide variety of food without worrying if one single chef is being overextended in terms of his/her culinary repertoir. Win-win, right?